Haha, did my title get you? We’re talking horses! 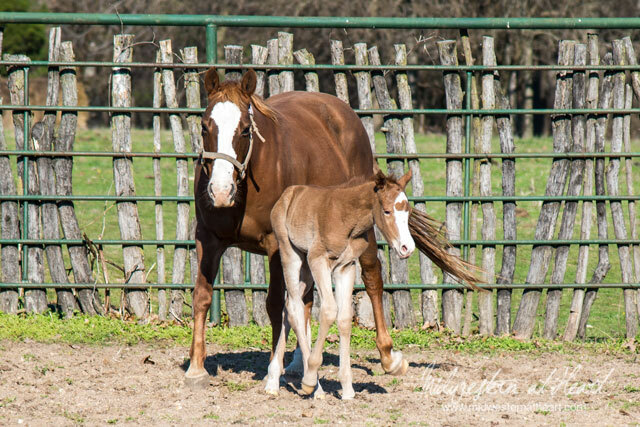 And speaking of horses… look at the legs on this baby. They are as long as his momma. And yes, I said his. Apparently our stud likes throwing boys. Last year we wound up with 3 studs and so far we’re well on our way. 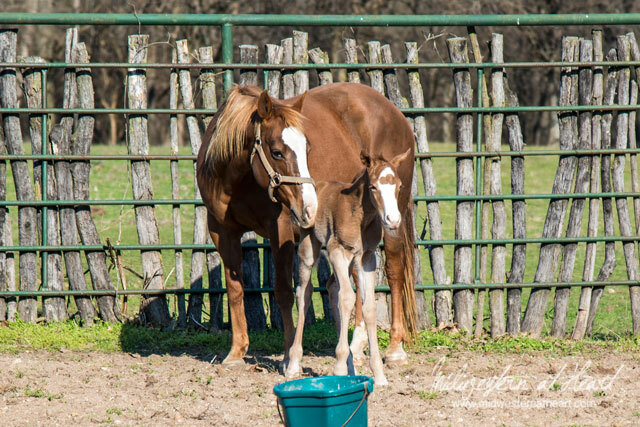 One mare left to foal, Blondie, and poor gal looks miserable. I can only imagine. Anyway Sunday morning I woke up to a text from dad that said we had a baby on the ground. So we got up, dressed, and headed to see this new baby. Isn’t he a beauty? So last year we made Tbug a deal that she could have any baby she wanted (except Pi, Pi is grandpas!). She chose Blondie’s baby, Cadillac. Sunday while we were checking out Freckles new baby, I decided that Abug gets Little Pi. Little Pi was born the same year that Abug was born so it only seemed fitting. That and Freckles throws such even tempered babies. 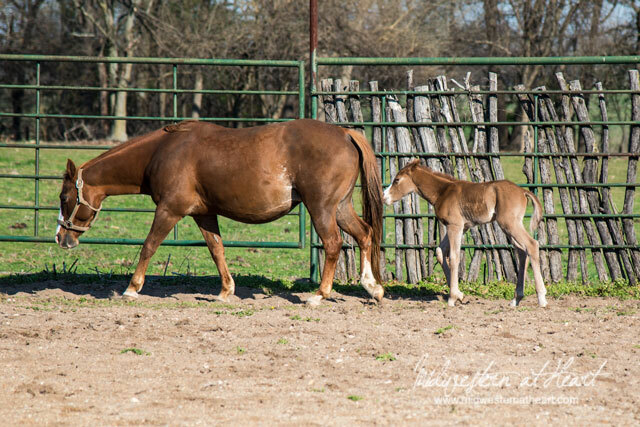 By the time we get Little Pi broke and ridden enough, Abug should be ready for her own horse, right?